BCL Power supply, install, maintain and support the award winning range of uninterruptible power supply (UPS) systems from Riello UPS. Working with Riello UPS for over 5 years, both the operations and sales teams at BCL Power are well placed to advise on the correct Riello UPS solution for our clients. With both single and three phase UPS systems in their product range, Riello UPS are able to offer standby power solutions to a variety of end users. From small desktop systems to large data centre applications, the requirement for reliable standby power has never been greater. 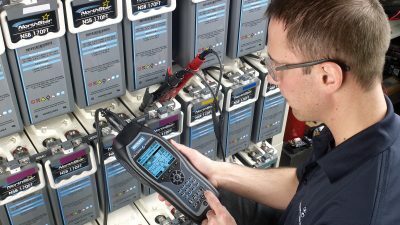 BCL Power’s operations team have been trained in the installation and commissioning of the Riello UPS product range, allowing us to provide a single point of call for the purchase, installation and ongoing support of Riello UPS systems. BCL Power are both an approved reseller and service provider for Riello UPS. Explore the Riello UPS range here.